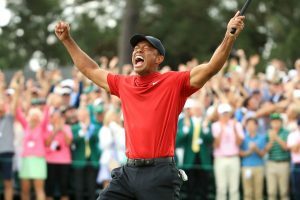 As a certain Big Game dominates the American sporting world when the New England Patriots and Los Angeles Rams take the field at glitzy Mercedez-Benz Stadium in Atlanta, it seems the perfect time to shift their epic gridiron battle onto another green expanse — the golf course. Not team against team, but region vs. region. Which wins the golf course showdown? For fun, let’s line up two equally strong “front fours” of courses from both New England and Southern California, and let you decide. Not (too) long after the game’s final whistle echoes into history, spring and summer come into view on the Patriots’ home turf, and that means golf — lots and lots of pent-up golf. Tom Brady himself is an avid player; he’s been known to head for Pebble Beach to tee it up with Tour pros and fellow celebs in the AT&T National Pro-Am, but come summer you just might find him where so many Northeasterners tread: Cape Cod. Here’s a “front four” of favorites on the cape itself, and in the historic gateway city of Plymouth. Cape Cod is such a hotbed of great summer golf that it’s tough to pick a true must-play out of the bunch, but Ocean Edge gets the nod. Located almost halfway out on the cape, not far from the north shore, it’s a semi-private delight from the well-traveled mind of Jack Nicklaus, with conditioning that mirrors one of his favorite haunts, namely Augusta National. Its final stretch is unforgettable. Stay right there and savor it all. 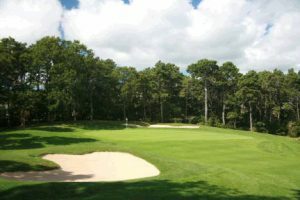 Few public courses out on Cape Cod can match Cranberry Valley. It features a superb practice facility, a stimulating design, pristine conditions and a layout that winds through scenic cranberry bogs. The three finishing holes stand up with any on the Cape. Here’s the finish you’ll face when you step to the 16th tee: A monster par 4 of 445 yards that plays uphill, usually into the wind; a 205-yard par 3 that is all carry to an elevated green; and a horseshoe-shaped, double dogleg par 5 that requires enough power to clear the corner and enough finesse to place your second shot onto a narrow landing area. No two holes are alike at Cranberry. There are stimulating short 4-pars (the 10th is a bear) and demanding 3-pars. You’ll find plenty of sand and parking-lot size greens. Accuracy off the tee is critical. You could be in Scotland in the 18th century, facing howling winds, playing on un-groomed, rock-hard fairways and hitting to postage-stamp greens. Built in 1892, Highland Links is Cape Cod’s oldest course. Not much has changed in 120 years. Don’t come to this nine-hole course seeking luxury. You won’t find a fancy clubhouse or oak-lined grille room. No driving range, either. Just a modest snack bar-pro shop to send you to the first tee. From there you’ll embark on a journey once made by Francis Ouimet. 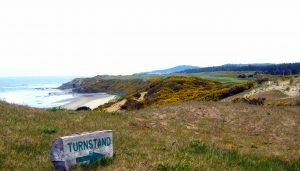 It includes heather, fescue, wildflowers, scrubby pine, deep bunkers and stunning views from windswept bluffs overlooking the Atlantic Ocean. Alistair Cooke once called Highland Links the closest you will come in America to a genuine Scottish links. The ninth hole, at 136 yards to a severely sloped two-tier green, has been named in national magazines as one of the world’s greatest 3-pars. 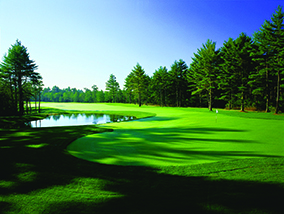 The stated goal at Pinehills, located just south of Plymouth, is to provide a private club feel at a public course. 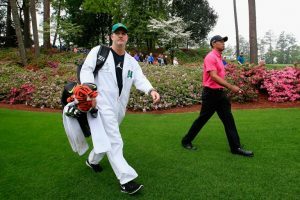 From the drive down the winding entrance road that stops in front of an elegant clubhouse — where employees retrieve your clubs and place them onto a cart that will be waiting for you at the practice range — you’re greeted like a well-heeled member. The Jones Course, designed by Rees Jones, opened in 2000, followed by a Jack Nicklaus Design layout one year later. Set among woodlands, kettle ponds and cranberry bogs, both courses feature steep elevation changes and dramatic scenery. Most holes are framed by tall pines and are isolated, creating a serene atmosphere that makes it seem like no one else is on the grounds. The Jones course has a classic design, rolling gently through the woods in a series of doglegs, valleys and swales. Most greens are clearly visible from the tee. The Nicklaus course demands approach shots over ravines to elevated greens. Many of the putting surfaces are bordered by low-cut collection areas that provide the option of pitching or putting to save par. Southern California encompasses such a vast area of geographical variety — coastline, mountains, valleys, desert — that it’s virtually impossible to put its golf personality into one descriptive box. While many casual golf fans know SoCal mostly for its famed private layouts such as Riviera, Los Angeles Country Club and Bel-Air, the region excels in incredible resort golf, with some standout public and munis also in the sunny mix. Just make sure you’ve got a full tank of gas because you’ll do some serious driving (this is La-La Land, after all). While it’s all but futile to narrow the area’s bounty to a formidable foursome of must-plays, we’ll give it a shot. This city-owned complex just off Interstate 5, a few miles from the downtown L.A. core, is the ultimate SoCal muni experience, going back 100 years. Both the Harding and Wilson courses have their adherents, with sometimes tight eucalyptus-lined fairways, smallish greens and enough tee-to-green challenge to merit many a city championship — and, in the Wilson course’s case, the PGA Tour’s Los Angeles Open back in the day. 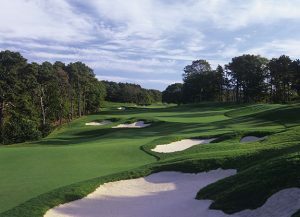 As with Bethpage Black on Long Island you’ve got to plan ahead to secure a tee time, but locals know it’s worth the effort. 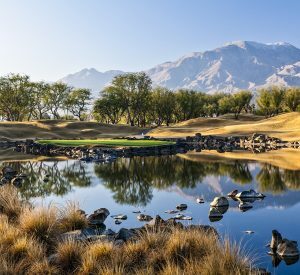 A pilgrimage to the Palm Springs-Palm Desert-La Quinta area, some 100 miles east of downtown L.A., is a must for golfers, and PGA West is the top of most gotta-do-it-lists. There are six courses at PGA West — four public, two private — but everyone wants to play Pete Dye’s Stadium Resort Course above them all, for good reason. Like its Florida counterpart at TPC Sawgrass, it’s got all the sneaky Pete quirks and character traits, right down to the island green at, you guessed it, No. 17. The deep greenside bunker on No. 16 is another conversation piece. Put your peg down here on a sweet February afternoon and savor desert golf at its best. Among the many SoCal courses boasting Pacific Ocean views, the two Tom Fazio beauties at Pelican Hill, a high-end resort in Newport Beach might offer the most inspiring of all. 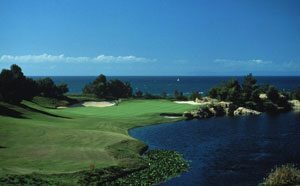 The South Course is a big tighter off the tee than the North, and comes right up to the Orange County beach (crossing bustling Pacific Coast Highway as it does so), but the North, being situated higher on the bluff, affords sweeping vistas of the sea, and Catalina Island some 30 miles distant, from almost every hole. There are ravines to cross, sidehill lies to negotiate and big, rangy greens to conquer — resort-style fun spiked with ample challenge. And a round at either course ain’t cheap, but if you’re gonna splurge, this is the place to do it. 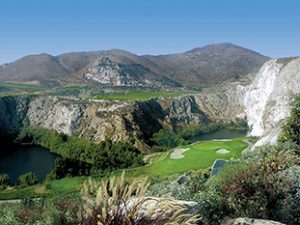 Let’s blow an hour or so northeast, into the heart of Riverside County, for a round at one of the Southland’s most unique layouts. Literally built through and around the former Jensen Quarry and voted 2013 National Golf Couse of the Year by the National Golf Course Owners Association, Oak Quarry swoops, soars, dives, and rumbles over sometimes sere, rocky terrain, with few trees and only one main water feature — a deep lake at the center of the quarry that captures many a hooked tee shot on the stunning par-3 14th hole. San Gabriel Mountain views abound, and even though the place is tucked between two mega-busy freeways, it’s like another world. Bring your A game, and if you score well you’ll feel like you’ve won your own personal Super Bowl.